Dr. Shamsul Islam teaches Political Science in Satyawati College (University of Delhi). As an author, columnist, and street theatre activist, he is known for his unrelenting opposition to religious intolerance, dehumanization, imperialism and persecution of women, Dalits and minorities. He regularly writes in English, Hindi and Urdu and many of his works have been translated into many Indian languages. For more than a decade he has been collecting rare documents (in Persian, Urdu, English and Hindi) of the period of 1857 rebellion from India and outside. The capture of Delhi in the last week of September 1857 by the British paved the way for restoration of the colonial rule in India which was overthrown in early May. But Delhi was not won in a fair battle. The contemporary documents show in abundance that though rebels were under siege of a powerful British war machine, the latter was outmaneuvered and out numbered by the rebel forces. It was through the use of traitors and spies that rebellion at Delhi was subdued. In this book an original document of the times of 'Mutiny' tided, A Short Account of the Life and Family of Rai Jeewan Lal Bahadur (Late Honrary Magistrate, Delhi) with Extracts .from His Diary Relating to the Time of Mutiny, 1857, is reproduced which strongly corroborates the same reality. Munshi Jeewan Lal was one of the thief' British stooges in Delhi (other two being Rajab Ali and Mirza Ilahi Baksh), who organized bands of spies and saboteurs to undo the rebel regime in Delhi. So far his two narratives in the form of diaries have been in public knowledge. The third one, first time being presented in this book, is the most explosive one as it shows naked involvement of Jeewan Lal and his gang in anti-rebellion criminal activities. It is shocking that even after 60 years of independence we remain ignorant of such documents. I am thankful to Mr. Ateeque Siddiqui from Walled City of Delhi who introduced this book to me. Such finds are surely going to help in re-writing the history of 1857. I am immensely grateful to my wife, Neelima Sharma, who not only helped me in the procurement of rare documents but also in organizing them. I am also thankful to my daughter, Shirin and son-in-law, Sameer Dossani who as always enrich me with their critical comments. I am grateful to Professor Randhir Singh, Dr. I. K. Shukla, Mr. Shyam Chand, Dr. John Dayal, Dr. Amar Farooqi, Dr. S. P. Shukla, Dr. Prem Singh, Mr. Vageesh Jha, Mr. Braham Yadav, Dr. G. D. Gulati, Dr. Navtej Singh, Dr. Shakil A. Khan, Dr. Anurag Sharma, Mr. Pankaj Chaturvedi, Mr. Sharfudheen M. K., Dr. Badrul Islam, Dr. Goura Kudesia, Dr. Qudsia Qureshi, Ms. Sunita Yadav, Dr. Suresh Mishra, Dr. S. N. Khan Shahid and Mr. Ted Svensson for their valuable suggestions. I am also greatly indebted to the ever helpful staff of Nehru Memorial Museum & Library, Ratan Tata Library, Ajoy Bhawan Library, Qaumi Ekta Kendra Trust Library, Gandhi Memorial Library, Vallabh Bhai Patel Memorial Library, National Archives, Central Secretariat Library, Jamia Millia Islamia Library, Satyawati College Libraries, both evening and morning classes (all in Delhi), Salzburg Seminar Library (Austria), Khuda Baksh Oriental Public Library (Patna), L. Durga Sah Thulgharia (Nainital), National Library (Calcutta) and Shibli Academy Library (Azamgarh), Rampur Raza Library (Rampur), Dayal Singh College Library (Lahore), Kerala State Archives (Thiruvanathapuram), Library of Advanced Studies and Municipal Library (both in Simla) for meeting my ever increasing request for material. 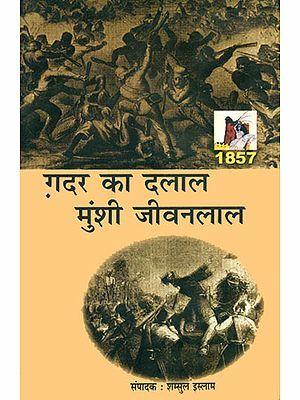 This book as part of the series, 'Startling Documents of 1857' of would not have materialized without the creative suggestions of Mr. Arun Maheshwari of Vani Prakashan. I am indebted to him and his team. I also thank Mr. Shishupal Prajapati and Ms. Bhavna Prajapati for the secretarial work which they have done ably. The rebellion of 1857 was a national revolt or mutiny and whether rebels were led by any nationalist feeling or were simply anarchic gangs who surfaced once the state run by the British eclipsed have been the issues fiercely fought among the historians working on the history of modern India. However, the officials of the East India Company who ruled over its India Empire on the eve of 'Mutiny' and faced the wrath of the rebels or those British individuals who witnessed it happening were unanimous in their judgment that it was a national revolt. Thomas Lowe, was a senior commander with the British army which marched from Aurangabad to Kanpur to crush the rebellion in central India and Awadh region. In his memoirs  while reminiscing about the rebellion he wrote that it was like standing on the verge of a volcanic crater, the sides of which were fast crumbling away from our feet, while the boiling lava was ready to erupt and consume us! He admitted that it was a mass rebellion in which not a single Indian was willing to serve the British. All had disappeared to a man; even the native servants had leagued with the murderers of their masters, and hurried away with the destroying stream. These were not servants only who had betrayed the British. M. R. Gubbins, who played prominent role in suppressing the rebellion in the Awadh region admitted When that event [Mutiny] took place, the defection of the upper classes was almost universal. 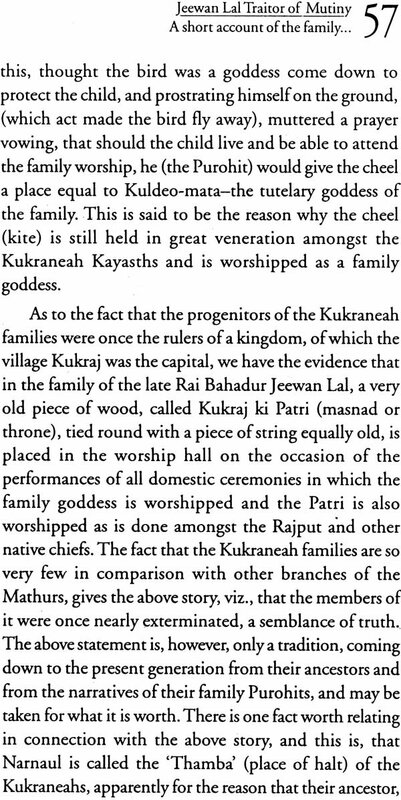 It cannot be denied that the native gentry of Hindoostan [sic] have not much to thank us for. Major W S. R. Hodson, a leading commander of the British force which besieged Delhi, in a letter [july 25, 1857] from the British army camp outside Delhi admitted that "we have a continent in arms against us". 3 In another letter on the next date [july 26, 1857] he wrote that it was "an entire army and a whole nation" which was in revolt. Hodson in another letter admitted that From hence to Allahabad, the fort of Agra and the Residency of Lucknow are the only spots where the British flag still flies. We are more to be considered now as an isolated band, fighting for our very name and existence in the midst of an enemy's country, than as an avenging army about to punish a rebel force. General Frederick Roberts participated in one of the longest military campaigns against the mutineers and rose to be the commander-in-chief of the British army in India. It was 3 months after the 'Mutiny' that he confided to his father, an ex-military General himself I do not believe myself there is one single Native in the whole country who would not go against us. Here we had not only a servile war ... but we had a war of religion, a war of race, and a war of revenge, of hope, of some national promptings to shake off the yoke of a stranger, and to re-establish the full power of native chiefs, and the full sway of native religions." Sir John William Kaye, a renowned British military historian, who was saw the 'Mutiny' happening also underlined the universal fact that the Black man had risen against the White. I remember asking on old man about the country and its owners, when he significantly said to me, 'The jungles, sahib, the trees, the rivers, the wells, all the villages and all holy cities belong to the Sircar [British government]; they have taken all-everything (bahut achcha)-very good, what can we do? It was one of the most curious characteristics of the mutiny-war, that although the English were supposed to be fighting against the native races, they were in reality sustained and supported by the Natives of the country, and could not have held their own for a day without the aid of those whom we hated as our national enemies. To quote his words further, There is nothing more true than that the calm courage of our Native adherents enabled us to recover India from their own countrymen. This notes contained in Part-I of this second edition were drawn up by me, hurriedly, soon after the death of my father, Rai Bahadur Jeewan Lal, in April, 1884, for the use of Colonel Marshall, who was then writing a book on the history of notable families in the Punjab, and wanted information regarding our family for insertion in it. But a number of the British officers, some of whom were my father's personal friends, knowing his worth and the particulars of his services, and some others who had heard of his memorable public career, by reputation, having heard of my supplying the notes to Colonel Marshall, requested me for a copy of them. The demand grew so great that it was found impracticable to meet it by supplying manuscript copies, so I had the notes printed along with copies of such testimonials as were easily forthcoming at the time. These notes, it will be observed, referred chiefly to my father's services in his capacity of a public servant and contain very little about his private life, which was as exemplary and memorable as his public career. I, therefore, intended preparing a full and detailed account later on, when my domestic affairs, the management of which had devolved on me on my father's death, and which were not in a satisfactory state, having been neglected for sometime past, owing to the Rai Bahadur's protracted illness and other causes, had been arranged and put in proper order. In this proposed work I intended including a variety of interesting and instructive information relating to many important and memorable events, which occurred in Upper India and Rajputana in the pre-Mutiny time (i.e., the period commencing from the establishment of the British Rule in this part of the country up to the date of the rescue of Delhi from the hands of the rebel soldiers in September, 1857) in which the Delhi Residency, the various Native States under its charge, and the court of the king had to play a part. The narrative would have been not only highly interesting and instructive, as giving a vivid idea of the general state of those times, but also of great historical value, as revealing many important incidents of that period of which, i believe, it is difficult, if at all possible, to find a true and succinct account any where else than in my father's voluminous manuscript records, consisting of detailed memos, copies of State documents, and the comprehensive notes of his very carefully kept diaries. But man proposes, God disposes. I was not destined to give effect to my desire owing to my being engaged all this time in solving the difficulties into which my family got involved in consequence of a series of calamities (to be briefly noticed here) following each other so closely that I was not allowed a breathing time. And now that we have got over the troubles, and have become reconciled to existing circumstances again, so that I can use my time in other work, I find that the great strain on my mind caused by the sad events has made a wreck of my brain and left me neither strength nor inclination for undertaking the task. All I find myself able to do now is to add some more particulars relating to the past history of the family, which were either not known to me at the time the former notes were drawn up, or could not be included in them owing to the great hurry in which the work was got through, and to describe briefly the present condition of the family and of its existing members. Well, mention has been made in the previous notes of the loss of my health and growing deafness, which incapacitated me from doing my professional work of a lawyer, and thus deprived the family of an important source of income. This necessitated the curtailing of our expenses, so as to bring them within the limits of our reduced income, and engaged my attention from the time I had to take charge of the management of our family affairs of my father's death. But I had scarcely succeeded in putting matters right, and while we were still mourning the loss of a really most worthy and loving parent, we were, all of a sudden, put to a more severe and bitter trial. This was the sudden and untimely death of my elder brother, Rai Raja Lal, who was, at the time, holding the post of Extra Assistant Commissioner, drawing a salary of Rs. 500 per mensem, in July, 1885, following so soon after that of our father. Truly sad and mournful as this event was in itself, it had a far reaching effect on the financial position of the family, which was now deprived of another important source of its income, the loss thus amounting to close upon Rs. 1,000 a month. The income which was left us was not at all sufficient for the support of our large family brought up in plenty and used to live in ease, and nearly all die members of which were too young for entering service or adopting some profession. In fact, it was found difficult even to continue their education on the expensive scale on which it was hitherto managed with a view. to preparing some of the young men to proceed to England for Competitive examination. The situation, thus, was such as would have disheartened the stoutest heart. For me, with my affliction and the general bad state of health, it was simply unbearable; and but for the ready support and exceeding sympathy and kindness of a large number of powerful and influential friends amongst the British officers of the Panjab Commission, I have no doubt I would have succumbed to the burden of the overwhelming grief, on the one hand, and of the apparent hopelessness of our situation on the other. These kind friends, as soon as they heard of our latest misfortune, and that I had, in sheer despair, resolved to renounce the world and lead the life of an ascetic, exhorted me not to take such a step, and assured me of our receiving such help from Government as would effect the amelioration of our condition. This assurance enabled me to take heart, and dissuaded me from giving effect to my intention of retiring from the world.